Lighting sets the mood for any space and it certainly has come a long way in the kitchen. One of the hottest kitchen trends is integrated LED lighting in, above and below cabinets and drawers. 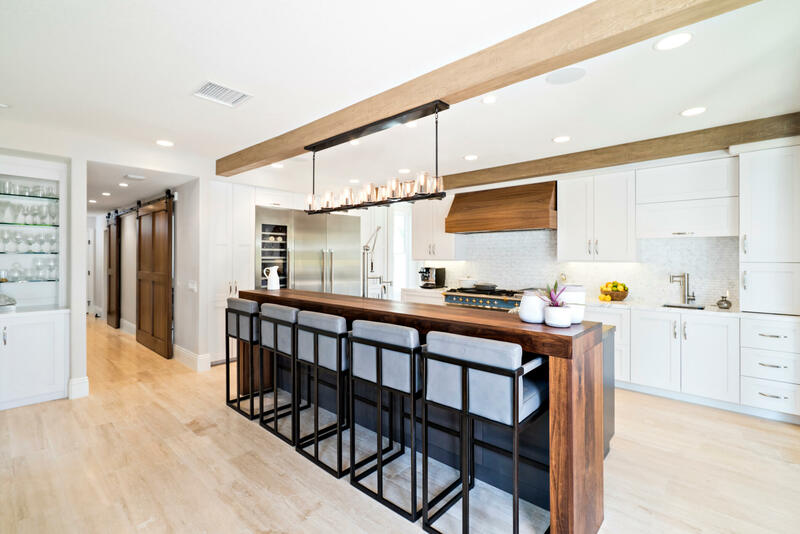 Perched above cabinets, as well as hidden inside and under them, integrated kitchen lighting adds atmosphere, functionality and style to a kitchen. They’re a brilliant way to complete the look of your kitchen and get a better look at what you’re making for dinner. Under cabinet lighting makes tasks easier and safer by delivering directed light to a specific area. Under cabinet lighting can provide task lighting for countertop food preparation and accent lighting to highlight countertops and backsplashes. Under cabinet lighting also helps to eliminate shadows, making it easier to prepare meals. Additionally, under cabinet lighting helps to create unique looks by adding another layer of light and it’s extremely affordable. Integrated cabinet lighting can showpiece dinnerware, collectables and objects d’art. Integrated cabinet and drawer lighting also makes organizing and finding what you are looking for much easier, not to mention the wow factor that is achieved every time you open a drawer or door and the interior of the space is illuminated.